never really understood this. Seems like 90% of sellers sell the figures seperately from the accessories. It really never makes much sense to me, and even less so with collectible minifigs with unique accessories. Why do bricklinkers sell separated pieces instead of whole sets? It is because they are separate catalogue entries. A minifigure is just that, without accessories. If you want a CMF to come with the accessories, don't buy it as a minifigure, you need to buy the set. As @CCC said, for the collectible minifigs you need to search in the sets category, not in the minifigs category. So NOT here: http://www.bricklink.com/catalogList.asp?catType=M&catString=746, but here http://www.bricklink.com/catalogList.asp?catType=S&catString=746. As a buyer, I much prefer to have the choice to be able to buy minifigs and accessories separately. I often buy minifigs for parts that I will be mixing up in different ways. I don't want to be forced to buy accessories when I don't want to. And also the other way around; I don't want to be forced to buy minifigs, when all I want it the accessories. CMF's aside, selling the figs broken out from a set with their accessories if they aren't pictured in the Bricklink catalog entry also skews the price guide. Not that it needs help being skewed but some people selling with and some without makes it worse. Mostly because of money but also because if sellers wanted to include accessories they would have to do it manually, whereas having it separate is automatic when parting out a set. If it's easier to make more money, that's what's gonna happen. I have never sold anything on Bricklink, but honestly if I did I would sell everything with accessories and add a manual note confirming as such. Just feels right to me. Get the arguments against though, which all centre around money of course! I sell figures separately from their accessories, not because it makes more money but because it gives buyers more flexibility. Some buyers don't want accessories, some do. Some want extras of accessories as well. I sold probably 20 Captain America figures a few years back, I think 5-6 of the buyers didn't want the shield. I even asked them before sending the invoice. Some buyers (most AFOLs I wager) will probably want their SW figures with proper guns rather than that stud firing hand cannon. I can see why some people may just order accessories for their existing minifigs. I don't do it for the money either. I do it purely because that is the way sets get parted out on Bricklink and it makes it easier to not have to manually change inventories and make notes. 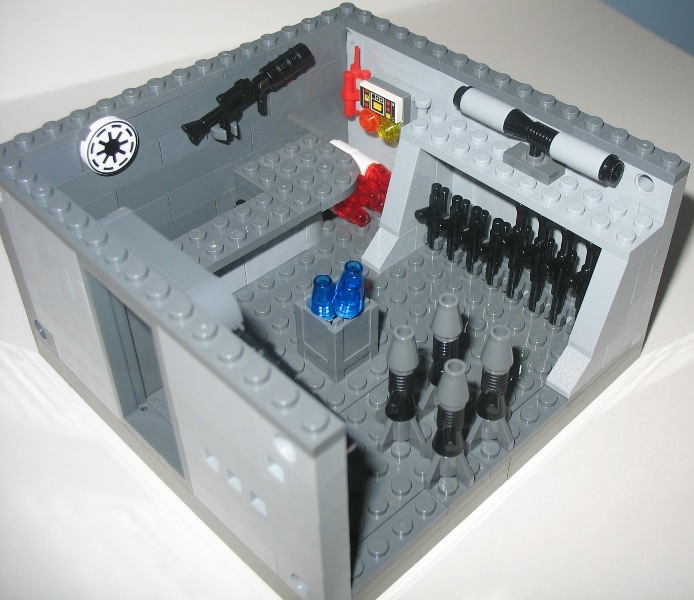 One thing to consider is that if you do sell Minifigures with their Weapons/Accessoiress that very often it´s not one single piece (like a SW Gun) but rather a brick built one, sometimes consisting out of many pieces, where do you draw the line what the actual Weapon/Accessoire is? Sometimes a Bigfig for example has a small platform or some that it stands on, is that his Weapon? So i guess it´s the best option to have the Minifigures listed "naked" on BL! It is nothing to do with making money, a sword or axe etc sold separately will not make anyone rich. It is that the bricklink catalogue system shows minifigs come with no extras except CMF sets. There is no listing for a fig taken out of a set that includes its accessories. I get all this, but if you were a newbie finding out about Bricklink, I think a lot of people, not just the odd one, would reasonably expect that buying a collectible minifig would include its accessories. I mean is a cape for example included? Anyway, each to their own. ^ That is why I put in the description for every minifig "As Pictured". But I also don't sell CMF's not as a set so I don't have to worry about those. Yes, capes are included - anything around the neck is, even a bracket (see Geonosis Yoda). There are a few examples where they allow alternates, such as GB minifigs without proton packs. The BrickLink catalog is aimed at selling parts. These are not just new parts, but also used. Is a seller finds a large lot of used parts, he simply might not have all the accessories that were originally used with that figure. Also, a minifigure might have multiple accessories in a set, or might use different accessories in different sets. Because of reasons like these, from the catalog/database point of view it makes much more sense to inventory these figures without any accessories. That is much more practical. Also, as a buyer, I am usually looking for either a minifigure OR an accessory, not both. The combination might be important for minifigures in the licensed themes but not for most of the others. If I lost or damaged an accessory, I'd be a little bummed at having to buy the whole figure again. But you do - if you search under the 'set' entry and not the 'minifigure' entry (as someone else has already mentioned). it really doesn't get much simpler then that! You'll be surprised. Some BL buyers are stupid. I've had one in the past demanding another 15 minifigs as he bought a CMF set as a set and that I had ripped him off by sending only one and not a complete set of 16. And quite a few buy from the minifigs section and complain about lack of accessories. That is why they brought in the wording minifigure only entry, but still some people are confused. It doesn't help when some sellers list sets in the minifigs section saying complete with accessories. I doubt it, the number of complaints about the condition of used parts is likely to be higher. Missing parts higher still. How else can you make one of these if they didn't sell them separately? You can't protect people from not reading. If they choose to act without knowledge, than it's their problem. If they however would take the time to have a look around then they would know what they are dealing with. I generally don't mind the weapons being sold separately from the figures, but I do sometimes wish that multi-piece weapons (like the Djinn Blades from this year's Ninjago sets) had catalog entries for the assembled versions, like multi-part figs and animals do. Maybe, maybe not. With collectible minifigs, if they were listed on eBay, I'll bet my bottom dollar 90%+ of people would expect accessories. 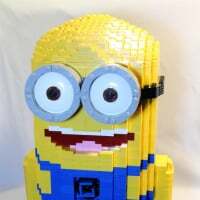 Therefore, your argument relies on a more informed user base, which in part is true of Bricklink, but not unanimous. Assemblies are a cause of lots of arguments on BL. For example, you cannot sell Groot as a figure, just a superlot of parts or as a custom item, or an incomplete set. Because catmins there refuse to allow such an assembly in the catalogue. My "issue" is also that i feel no remorse for those who don't take the time to read or inform themselves. As frustrating as that is I can definitely understand their feeling that they have to draw the line somewhere. I can see how it would seem silly to have separate catalog items for characters like the Crystal King from #8962, who makes up more than 80% of the set that contains him, or some of the brick-built dragons from LEGO Ninjago. People selling things as incomplete sets can be frustrating, though, because even if the seller marks in the description that it's incomplete and the buyer understands what they're getting, those types of notes don't show up in the price guide for the set after it's sold, making it hard to tell after the fact whether somebody got an exceptionally good deal or was just paying for an incomplete set. ^ if it is listed as incomplete, then you can just exclude incomplete sets when you look at the sale prices in the price guide. You never know if something is 99% complete or 99% incomplete after the sale. Because there is a market for it! Myself for example - I'm not a big fan at all of blasters that fire the studs. I think they look foolish in both superheroes and especially Storm Troopers. So it's people like me looking for the better looking, non stud firing blasters from older sets to pair with the minifigures from news sets that come with stud firing blasters. Those little tiny blaster pistols and rifles are like gold to me when I find them in CL lots. Yeah, the BrickLink catalogue lists them separately, and it's easier to do things their way, especially when using BL tools like 'part out a set'. I clarify in the item description 'accesories not included' or something like that. In general, I sell related parts separately. I admit it's confusing when CMF's are under Sets or sellers list stuff "complete except for -major component-"
Now you just sound silly. There is always an element of expectation with purchases. Collectible minifigs with dedicated parts is a reasonable example. Perhaps I'll sell you a toaster and not include a plug. When you complain I'll refer you to the small print on the back of the box. I had a case of a"used complete set", and when I asked about minifigs, the guy told me one was missing. usually sellers say in the listing if minifigs are missing, but I prefer asking anyway. same with shipping costs and fees even if the terms page makes them absolutely clear, because sometimes the actual cost ends up being different from what is in the terms. As I understand it; Collectible Minifigures are considered complete sets and the accessories are part of that set; wereas Minifigures are just considered part of a set, so it is perfectly reasonable when buying a Collectible Minifigure from Bricklink, that it is 100% with all accessories unless otherwise noted. ^ CMFs listed as sets are sets, CMFs listed as minifigures are just the minifigure. It is important to look at what you are buying. They use the word "minifigure only entry" in the minifigs entries, and also include an inventory. Maybe they should go further and include "no accessories" in the official listing name, but that may be even more confusing when sellers insist on listing sets in the minifigs entry. You're the one being silly. There's a reason why you have the option to buy both separate and complete figures - flexibility. Why shouldn't people be able to buy cheaper figs if they don't need the accessories? Or if I want 20 accessories, but no figs? Because some people don't bother informing themselves about what they're purchasing? The only thing you should expect when buying something is what's being sold. If the said toaster is sold without a plug and the seller mentions that, it's perfectly fine. If you buy it and expect it to include a plug, it's only your fault. And we're not talking about "small print on the back of the box" here, the information is there if you bother looking at it. You're not listening are you? There is a level of reasonable expectation with certain purchases with what is included, especially, in this case, if those accessories are intrinsic to the figure. I am not categorically saying it's wrong in this instance, that was never my original post, it was simply to point out and discuss reasons why this is, and to say I personally found it surprising, as clearly so do some others. If you are saying there is never reasonable expectation with any purchase, and you should always read the small print on everything or else it's your fault, then I suspect that is a line that would fall foul of most EU consumer law if tested in court. Your interpretation is music to the ears of scammers. Can you really not see how absurd this is? You're saying that minifigs should not be sold separate from accessories because you don't want to read what the seller is actually selling? The only reasonable expectation from a sale you should have is regarding service (receiving the item in good time, proper condition, etc). Not expecting to receive an object that is NOT part of the said sale, just because you expect it to be there. It's that simple and there's no small print or scamming involved. Based on your rule, I can buy a blue ferrari, then complain it's not red. Because, mind you, that's how I expect my ferraris to be. I have a red Ferrari available. I accept Western Union wire transfer. We we are going nowhere. I don't wish to argue. The default common listing is minifig only. For what is in effect a small set, this is surprising. I accept for most minifigs from sets that's how it works for part out etc. I still personally believe the default listing for collective minifigs should be with base and accessories as I feel they are intrinsic to the set. Let's just leave it we have different views. But that's my main problem with your reasoning; you have that listing you want. The default one is the complete set listing. Then you have the minifig only listing, which, from your reasoning, should not exist. It is there - that is the set. The set entry contains everything in the set. The minifig only entry is for the minifig only, not the other accessories that are part of the set. Anyone that cannot understand the language used can also click on inventory (as they can on mostly all except newly listed sets and minifigs) and see what is included. Complete random 'set' (unspecified figure plus accessories, packaging etc. Then it gets even more confusing when sellers use them in different ways, e.g. 'complete' figures that have a note attached saying did not come with packet of accessories, SuperLot of each specific figure, min. qty of 16 'randoms' to give a full set, complete boxes that are actually just complete sets etc... it's a nightmare for buyer and seller alike! !